The Lakeview Commons property comprises a significant, visible assemblage of public space within the City of South Lake Tahoe. Portions of this 56-acre site were deeded to El Dorado County by D. L. Bliss in 1923 and by the Lake Valley Community Club in 1959. The City of South Lake Tahoe, through a cooperative lease agreement with El Dorado County, operates and manages the on-site facilities and uses for public park, recreation, cultural, and visitor information purposes. 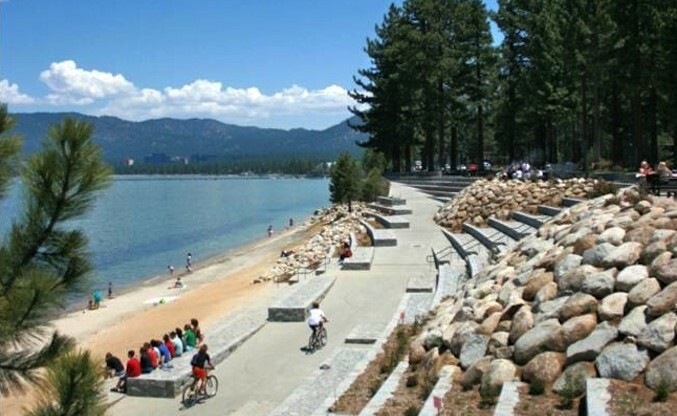 The El Dorado Beach Improvement Project is the first implementation phase of the overall Lakeview Commons Conceptual Plan for revitalizing and developing this civic and recreation area in the heart of South Lake Tahoe. 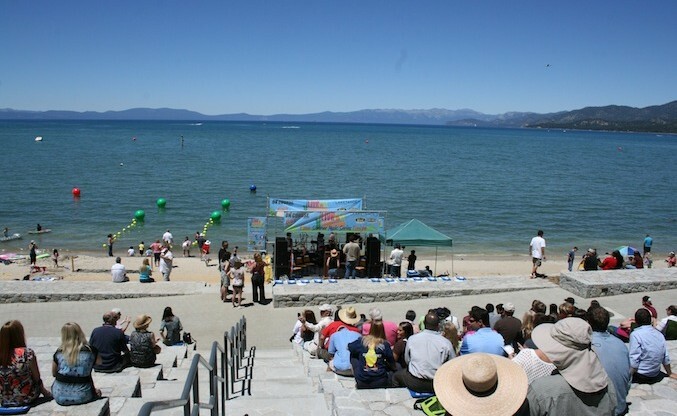 The improvements at El Dorado Beach represent the largest lakefront public access site improvement investment by the Tahoe Conservancy in the south shore. The project incorporated significant public participation during its planning and design process. Numerous environmental and socioeconomic revitalization goals are being met through implementation of the project. Water quality improvement is addressed through the implementation of project Best management Practices, scenic quality has been improved, and restroom and concessionaire space is provided. The lakefront beach is designed to be fully accessible for people of all abilities. The project creates energy and excitement for the community that is expected to spur additional investment in the improvement of this part of South Lake Tahoe. Plaza-level improvements for day use recreation, including picnic tables, barbecues, seating areas, a bike path, and bike racks. Native vegetation will be used throughout the site and best management practices will be installed to advance water quality objectives. The project enhances scenic vistas to and from the Lake through the use of natural materials. Lighting addresses public safety issues. Phase 1 was completed in 2012 and is now open for year-round enjoyment. The City of South Lake Tahoe and El Dorado County are seeking funding to complete the next stage of the project.